Inside someone's CLOSED FIST, you cause metal to bend and REALLY TWIST. They can feel it AND SEE IT TWIST. Think about that... Seriously, it's empathy time: Think about how freaky that must feel. Think about how unforgettable that experience is. 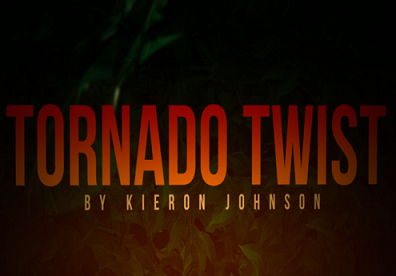 Kieron Johnson has become famous for his outside-the-box thinking, and this has his signature all over it. He's taken metal bending to a different planet, while still making it practical for real-world magicians to perform at paid gigs. He teaches a full metal bending routine so you can drop this right into your act.